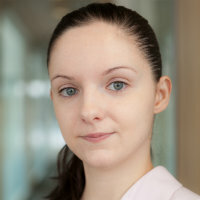 Dr Valeriya Vitkova is a Research Fellow at the Cass M&A Research Centre (MARC). Since joining MARC, she has been involved in a number of projects related to topics such as shareholder activism, corporate restructuring, acquisitions of distressed companies, post-acquisition performance and the role of institutional investors, joint ventures and strategic alliances as well as the Cass MARC M&A Maturity Index. Valeriya teaches principles of finance at the undergraduate level at Cass Business School. She has presented her research at many international conferences and published her research articles in top-tier finance journals including the Journal of Business Finance and Accounting and the European Journal of Finance. Dr Vitkova has also published a chapter in the book: ‘International Banking in the New Era: Post-crisis Challenges and Opportunities’. She graduated from Cass Business School (PhD and MSc). Valeriya obtained international experience when working as a financial analyst at the United Nations World Food Programme in Italy. Dr Vitkova has been involved in a number of consultancy projects for the global technology provider of content management and collaboration solutions Intralinks. The projects relate to the analysis of M&A information leakage and the factors that make companies attractive acquisition targets. PhD (Cass), MSc in International Accounting and Finance (Cass), and BA. We examine whether equity carve-outs (ECOs) lead to improvements in the functioning of the internal capital markets (ICM) of diversified firms. Divestments, including spin-offs, sell-offs and ECOs, can be employed by firms to improve allocative efficiency. Equity carve-outs, unlike spin-offs and sell-offs, leave the parent’s ICM intact but provide the opportunity to enhance internal and external corporate governance mechanisms. Using a US sample of 354 ECOs completed between 1980 and 2013, we find that the allocative efficiency of parents is augmented significantly following ECOs. This increase in allocative efficiency is driven by improvements in the governance characteristics of parent companies. This paper looks at how the dividend policy of acquirers changes following the completion of acquisitions. Stock Pickers or Managers: Do hedge fund activists really contribute to long-term value? This paper looks at what makes companies the likely targets of hedge fund activists and whether the performance of companies improves following activist engagements. Why don’t US Multinationals have larger period end PRE balances offshore: Politically driven Foreign Investment in exchange for Tardy Tax Reform? This paper looks at whether the propensity to invest in fixed assets abroad is affected by the level of permanently reinvested earnings that US multinationals hold. We also look at whether the level of investments in fixed assets abroad has any impact on company performance. This paper looks at acquisition and divestment programmes and the effect they have on company performance. This paper looks at company performance following acquisitions of distressed targets. Faelten, A., Gietzmann, M. and Vitkova, V. (2015). Learning from your investors: can the geographical composition of institutional investors affect the chance of success in international M&A deals? Journal of Management & Governance, 19(1), pp. 47–69. doi:10.1007/s10997-013-9268-3 . Faelten, A., Gietzmann, M. and Vitkova, V. (2014). Naked M&A Transactions: How the Lack of Local Expertise in Cross-Border Deals Can Negatively Affect Acquirer Performance - and How Informed Institutional Investors can Mitigate This Effect. Journal of Business Finance & Accounting, 41(3-4), pp. 469–506. doi:10.1111/jbfa.12049 . Vitkova, V., Tian, S. and Sudarsanam, S. (2019). Allocative Efficiency of Internal Capital Markets: Evidence from Equity Carve-outs by Diversified Firms. SSRN Working Paper. Vitkova, V. and Tian, S. (2018). How, and when, to catch a falling knife: The Benefits, Risks, and Timing Issues Around Distressed M&A. M&A Research Centre, Cass Business School, City, University of London: (MARC Working Paper Series 2018). Vitkova, V., Golubov, A. and Lasfer, M.A. (2018). Are they Listening? An M&A Approach to Dividend Catering. M&A Research Centre, Cass Business School, City, University of London: (MARC Working Paper Series 2018). Vitkova, V. and Karadakov, B. (2018). Power Plays - an M&A approach to Market Concentration. M&A Research Centre, Cass Business School, City, University of London: (MARC Working Paper Series 2018). Vitkova, V. and Rosenberg, M. (2018). Playing the long game: Do certain financial advisors in the UK bring longer term value to the M&A table? M&A Research Centre, Cass Business School, City, University of London: (MARC Working Paper Series 2018). Vitkova, V. and Krsticevic, Z.-.L. (2017). The Goldilocks Effect: Industry-relatedness and M&A. M&A Research Centre, Cass Business School, City, University of London: (MARC Working Paper Series 2017). Vitkova, V., Tian, S. and Sudarsanam, S. (2017). Let's Stay in Touch: The Carve-out Option for Conglomerates. M&A Research Centre, Cass Business School, City, University of London: (MARC Working Paper Series 2017). Vitkova, V. and Koh, K.Y.Q. (2016). Does the Early Bird Always get the Worm? London, UK: M&A Research Centre, Cass Business School, City, University of London. Analysis of the factors that can impact the likelihood of M&A deal completion. European Financial Management Association 2018 Annual meeting. Milan, Italy (2018). Invited speaker. Financial Management Association Annual Meeting. (Conference) Boston, United States (2017). Invited speaker. Paper: Stock Pickers or Managers: Do Hedge Fund Activists Really Contribute to Long-term Value? Co-authors: Vitkova, V; Tian, S.
European Financial Management Association 2017 Annual Meeting. (Conference) Athens, Greece (2017). Invited speaker. International Conference of the Financial Management Association. Nashville, United States (2014). Paper: Does Dividend Policy Change after M&A? European Conference of the Financial Management Association. Rome, Italy (2014). European Academy of Management Conference. Valencia, Spain (2014). World Finance Conference. (Conference) Venice, Italy (2014). Journal of Business Accounting and Finance (JBFA) Capital Markets Conference. North Carolina, United States (2013). European Conference of the Financial Management Association. Luxembourg (2013). International Conference of the Financial Management Association. Chicago, United States (2013).